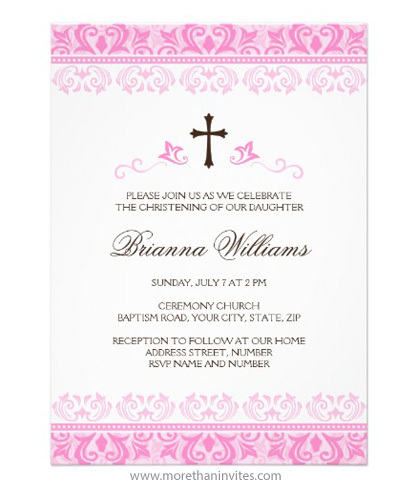 Beautiful baptism or christening invitation for baby girls featuring a pink lace/damask border top and bottom and a dark brown cross with pink flourishes. Fully customizable invitation text. This design is also available as a first holy communion / confirmation invitation.